LED - Light Emitting Diode is a semiconductor device that emits visible light when electrical current passes through it. When the LED is switched on, electrons are able to recombine with holes and energy is released in the form of light. LED bulbs present many advantages over traditional light sources including lower energy consumption, higher efficiency than incandescent and CFL bulbs, longer life time up to 100,000 hours (less replacement costs) smaller size and faster switching. They are cool to the touch and do not contain any mercury or other hazardous substances. There are tree basic models of LED's DIP, SMD and High Power LED. LED lighting is a recently new technology which is here to stay and become the standard allowing significant savings to be achieved back on its investment due to reduced energy and replacement costs. What is an Incandescent bulb ? Incandescent bulbs create light by running electricity through a resistive filament, thereby heating the filament to a very high temperature so that it glows and produces visible light. Incandescent bulb are highly inefficient as over 98% of the energy input is emitted as heat. The current light bulbs are inexpensive but have a typical lifespan of only approx 1,000 hours. What is a CFL bulb ? Compact Fluorescent Lamps - CFL work by passing electricity through mercury vapor, which in turn produces ultraviolet light. The ultraviolet light is then absorbed by a phosphor coating inside the lamp, causing it to glow, or fluoresce. While the heat generated by fluorescent lamps is much less than its incandescent, energy is still lost in generating the ultraviolet light and converting this light into visible light. It also takes some time for the bulb to light up fully when switched on and is not instant. 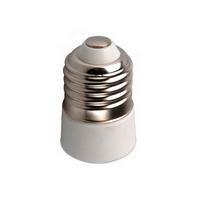 If the lamp breaks exposure to hazardous mercury can occur. Typical lifespan 1,200 - 10,000 hours. What type of colour of light can LED emit ? What do "Cool White" and "Warm White" mean ? The Color Correlated Temperature (CCT) is given in the description of each of our white led bulbs. The color (CCT) of our white bulbs ranges from a warm yellow white (2700K) to a cool blue white (7000K). By comparison, a typical incandescent bulb has a CCT of 2800K. 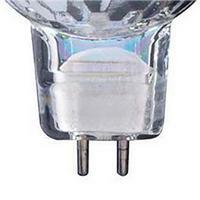 A typical halogen is about 3300K. Daylight white is 4500K and a cool white is 6000K or more. The human eye adapts to background light so that even a daylight white bulb will look slightly blue in a room illuminated mainly with incandescent bulbs. Similarly, an incandescent bulb will look very yellow or even orange in midday sunlight. What are the advantages of LED lights compared with conventional bulbs ? What are the disadvantages of LED lights compared with conventional lights ? How efficient are LED bulbs, tubes, spotlights ? The efficiency of the newer led light bulbs, tubes and spotlights is more than five times higher than comparable incandescent bulbs. In other words, led light bulbs use only about 20% as much electricity to produce the same amount of light. However, because led bulbs direct a larger percentage of light where it is needed, in many applications they are as much as ten times as effective as incandescent bulbs, reducing energy use by 95%. High Power LED are more efficient than Low Power. Efficiency of High Power LED is about 100 Lm/Watt for Low Power it is approx 5/6 Lm for single LED. One of the most efficient LED's are Cree XP-G which efficiency reach 132 Lm/Watt. How does the brightness of led lighting compare to incandescent lighting ? Led light bulbs are much brighter than incandescent or halogen spotlights of the same wattage, but led bulbs and spotlights are not available in very high wattages. 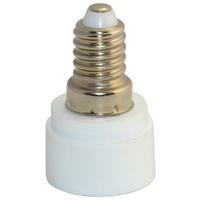 Thus, when replacing incandescent or halogen lamps with led lamps, more led lamps are often needed. For example, to replace one 100-watt incandescent bulb you may need two 5-watt or 6-watt led bulbs. Although you have more bulbs or spotlights you are still using 85% less electricity. 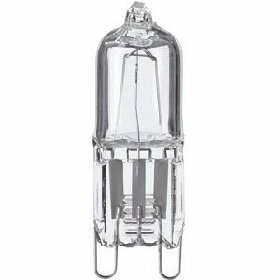 Are bulbs, spotlights, tubes with more LED's inside brighter than bulbs, spotlights, tubes with less ? The number of LED’s is not the determining factor of bulb, spotlight, tube brightness. Different types of LED’s vary greatly in size and light output. The most accurate indicators of the brightness of LED bulbs, spotlights, tube are the measured lumens or Lux. Lumens measure the total amount of light output from a bulb. Lux measures how bright the light is on a surface at a specified distance. Does switching my light on/off influence the lifetime of LED bulbs ? No, because it is semiconductor device therefore frequently switching on/off has no influence on time life and lighting parameters. 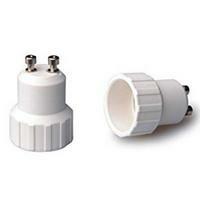 For incandescent and CFL often switching on/off has big influence on ilfetime, it decrease lifetime highly. Therefore LED bulbs, spotlightss are perfect solutions for places where switching on/off frequency is very high like corridors, toilets, kitchens etc. What is a GU10, MR16 fitting ? 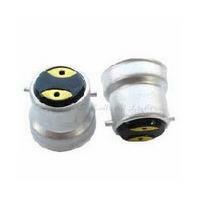 What is an E14, E27, B22 fitting ? Can I get dimmable LED bulbs and LED GU10 spotlights ? Why is the LED bulb or GU10 spotlight blinking which I installed with my current dimmer ? The problem is very simple, most of the available dimmers on the market have minimum load 40-60 Watt and are designed to work with resistance load. So if we replace ordinary bulb for low power consumption LED bulb or LED GU10 spotlight the total load is too low for dimmer to work properly and it is not resistance load as well. Even if we replace e.g. 10 spotlights we have in total 10 x 3Watt = 30Watt load or LED bulbs 3 x 8Watt = 24Watt load. It is still not enough to allow the dimmer to work. How to get LED bulbs or spotlights working correctly with dimmer? There are different kinds of dimmers available on the market, most of them have an inductor connected serially with output. In this case the inductor should be removed and short the pads. After this small make over the dimmable LED bulbs or GU10 spotlights should work well with dimmer, minimum load should be still more then 15-20 Watt. Most of the available on the market dimmers are leading or trailing edge, therefore dimmable LED lights should be designed to work with those kinds of dimmers. Please contact a qualified electrician before doing any changes. Can I install T8 LED Tubes in my office and warehouse? Yes you can. LED Tubes are maintenance free and perfect for high roof warehousing and offices. Lifetime of LED tubes can reach 100 000 hours. Ballast Free Installation For Even More Power Savings. 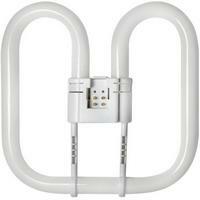 The LED Tube does not require the use of a ballast thus allowing you to save even more energy. As an added benefit there is no ballast to break or fail ensuring an even longer life. No ballast also means that the LED Tube can be used in T8, T10 or T12 fixtures for the ultimate in compatibility. Installation of LED Tube is simple but does require basic wiring knowledge. Always disconnect power before changing bulbs !!! If don't feel comfortable to do this please call an electrician or call us. We will recommend an electrician in your area.